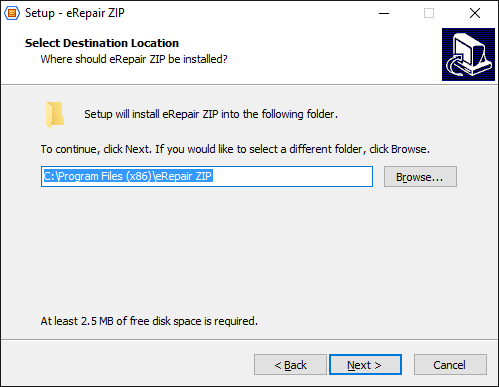 How to fix a damaged ZIP file or folder with the help of eRepair ZIP? 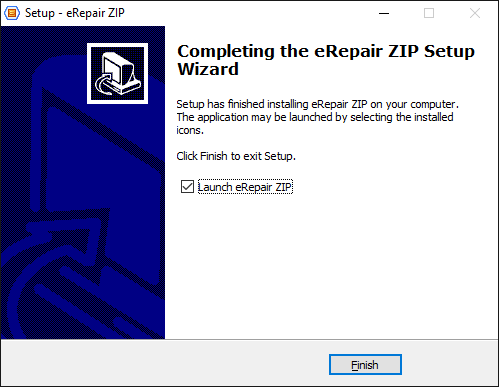 eRepair ZIP (Download) extracts files from damaged ZIP archives or ZIP folders. 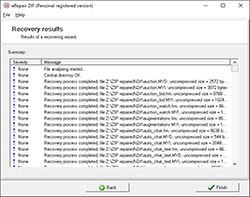 The program repairs data from the ZIP file and minimizes data loss during recovery. 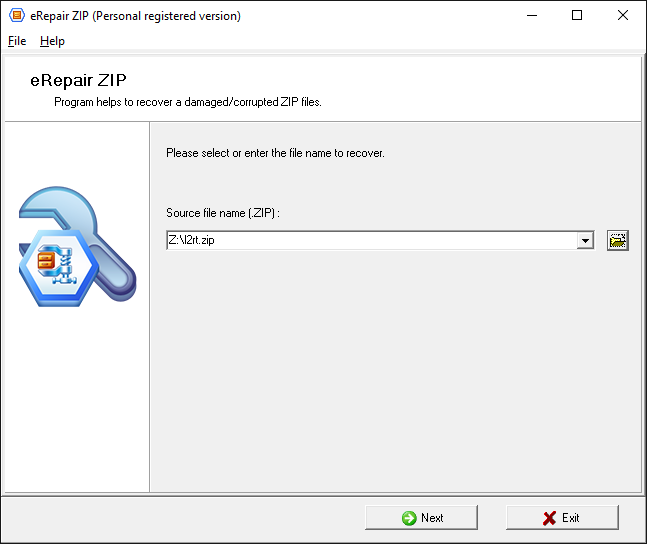 The ZIP repair tool scans the entire corrupted structure and saves the maximum possible amount of information from the heretofore unreadable ZIP file. 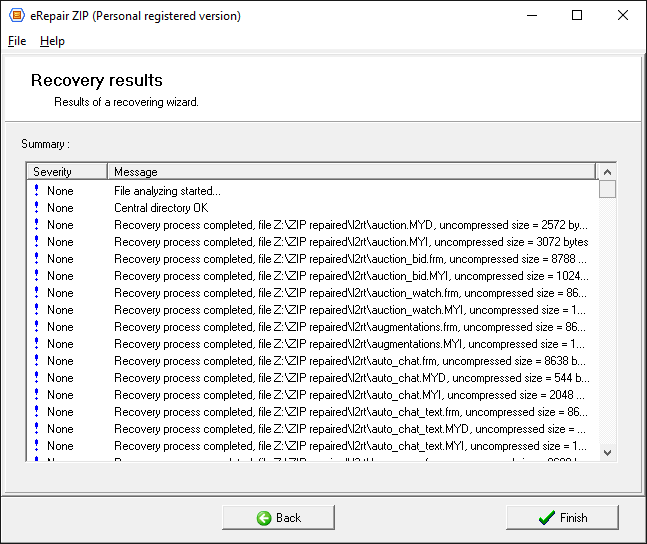 The program uses advanced algorithms and methods for recovering data from broken ZIP archives. 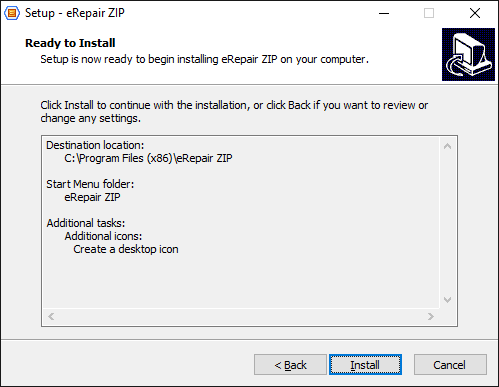 eRepair ZIP doesn't edit, modify, delete or add any information to the source ZIP file. The software reads the bad ZIP file or folder and then saves the recovered files to a separate folder, preserving the folders and file names of the original ZIP archive. eRepair ZIP can recover password-protected ZIP files. Simply enter the password for the archive, and eRepair ZIP will do the rest. 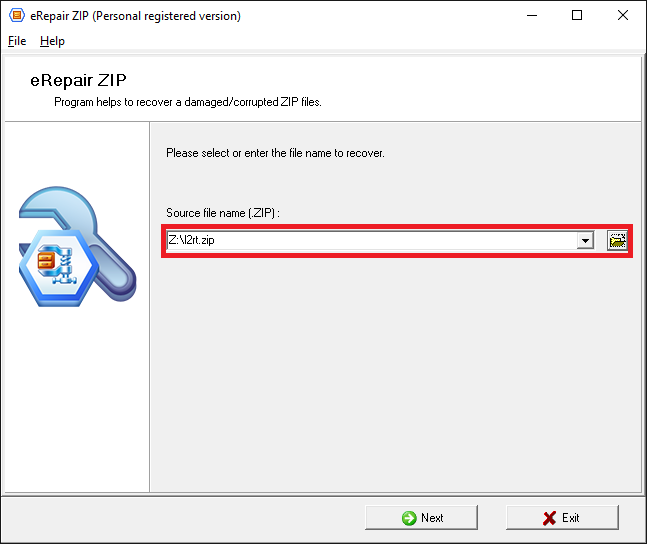 The tool reads the corrupted ZIP content and saves the recovered data to a separate folder preserving the folders and file names of the original ZIP archive. 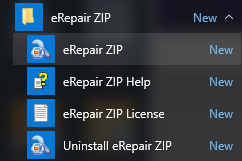 eRepair ZIP is not password-recovery software. File Path: Either multipart or corrupt ZIP archive. The Compressed Folder is invalid. The file or directory is corrupt and non-readable. Expected Zip file header not found. Cannot open file: it does not appear to be a valid archive. Invalid data into a Zip file. The archive was empty or otherwise corrupt. 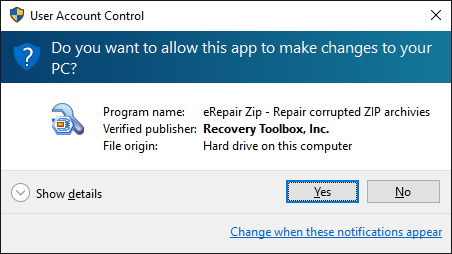 WinZip Self-Extractor file is damaged. 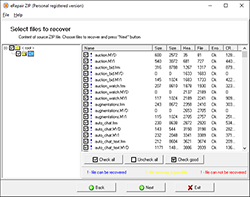 The program displays a folder tree and a list of files in each folder. Select the folders and/or files you want to keep from the damaged WinZip archive. 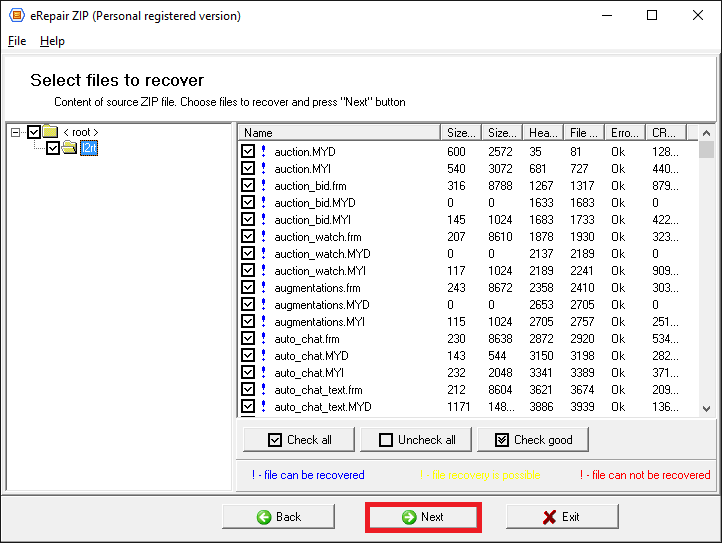 How to fix a corrupted WinZIP archive? 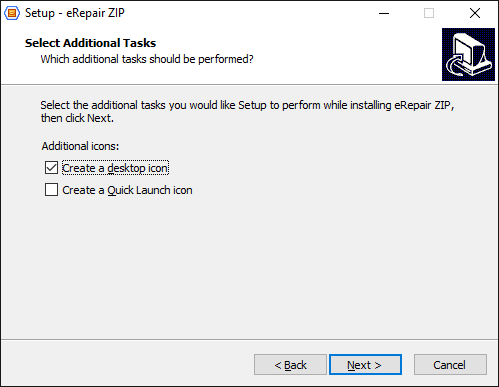 eRepair ZIP extracts files from incorrect *.zip files in just a few clicks. eRepair does not decrypt encrypted Microsoft SQL Server databases, ZIP, Word, Lotus Notes Database, and so on. Furthermore, clients are clearly informed not to use the software in case of the emergence of a message like This database has local access protection and you are not authorized to access it locally. This information is clearly mentioned on all the product websites of this software. Therefore, the refund requests in this case are not valid.